According to an old Taoist proverb and often the onset of fall feels a little melancholy as summer winds down, the kids go back to school, adults get restless and leaves change colour! 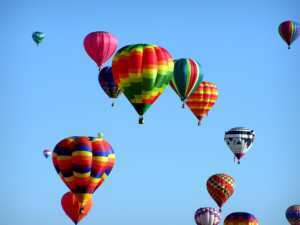 What better way to embrace this seasonal change byplanning an exhilarating guest ranch fall vacation; a chance to get away fromthe daily routine and embark on activities wonderfully different andchallenging. A fall vacation at a guest ranch can deliver all this and more in that most pleasant interlude between hot summer days and cold winter nights. A fall vacation in southern climes means warmer daytime weather, less crowded venues and more affordable rates, particularly true of a guest ranch as it settles into a slower paced itinerary after its busy summer season. Fall can also be the perfect time to try out all the non-riding activities a guest ranch provides, in addition to the sheer joy and freedom of riding outdoors across wide, open country. 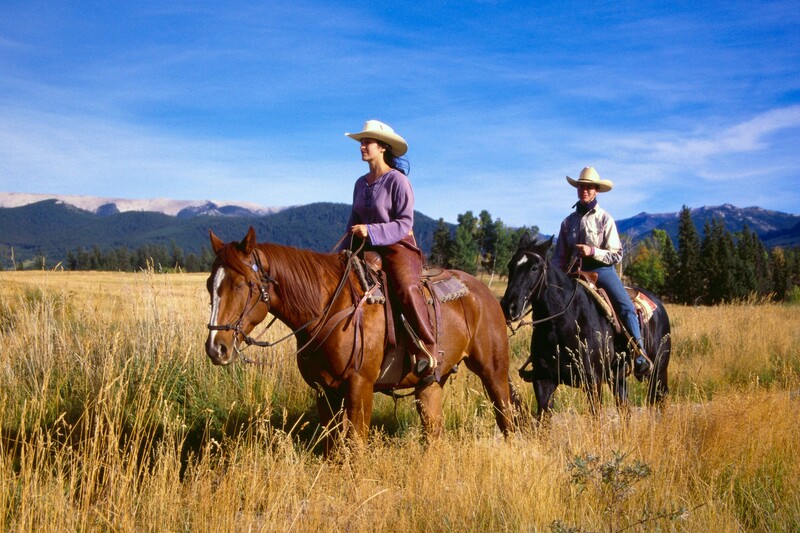 The following two ranches offer near perfect fall temperatures in outstanding down south locations, unique non-riding activities which perfectly complement their distinctive horse riding programs. 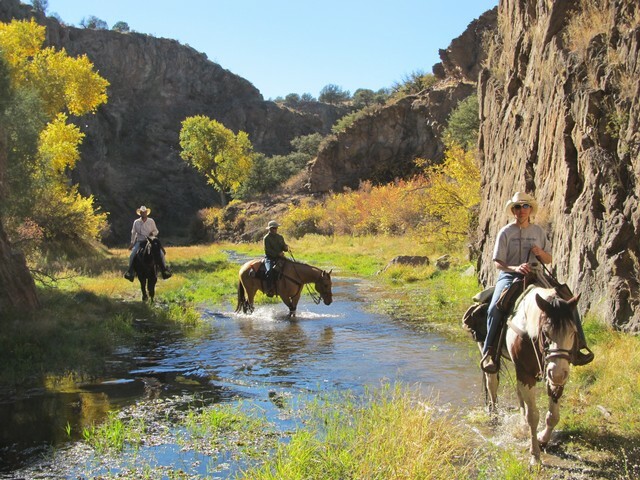 Whether a guest ranch regular or not,it will come as an added bonus to participate in new, exciting adventures, as changing autumn casts its mellowing influence on these one-of-a-kind guestranch vacation. “Mi Casa es su Casa”……..is a traditional Mexican greeting to visitors, especially so at Rancho Los Baños; a spectacular 30,000 acre eco-adventure guest and authentic working cattle ranch situated in the foothills of the Sierra Madres in safe,secure Sonora, Mexico, just 55 miles south of Douglas in southeast Arizona. Guests can be picked up at Tucson airport and driven across the Mexican border to the ranch to be warmly welcomed by owner/host Manuel Valenzuela. Set in a vast, protected, pristine wilderness area, the ranchis a diverse otherworldly National Park-type habitat of rugged mountains,ravines, box canyons and unfettered riding trails over the serene and remote high Sonoran desert landscape. Rancho LosBaños Adventure Guest Ranch is a wonderful opportunity for enthusiastic history buffs to get acquainted with its many local attractions such as El CajonCanyon, home to 2,000 year-old petroglyph caves and dwellings or the abandoned 17th century San Jose Jesuit goldmine. A short distance from the ranch lies the secluded, scenic 20-mile long Lake Angostura and dam (built by theHoover Dam architects) surrounded by towering mountains, such as El Tigre,which houses the last stronghold of Geronimo and the Chiricahua Apache. Another interesting spot is Cat’s Claw cliffs, thought to be the hiding placeof outlaws and a long lost gold cache. Other non-riding adventures include kayaking on the lake, hiking through stunning sculptured box canyons, trekking, geo-caching, bouldering and climbing throughCanyon country, as well as camping, birdwatching, boat tours,fly-fishing, jeep tours, soaking in thermal baths and mountain biking. 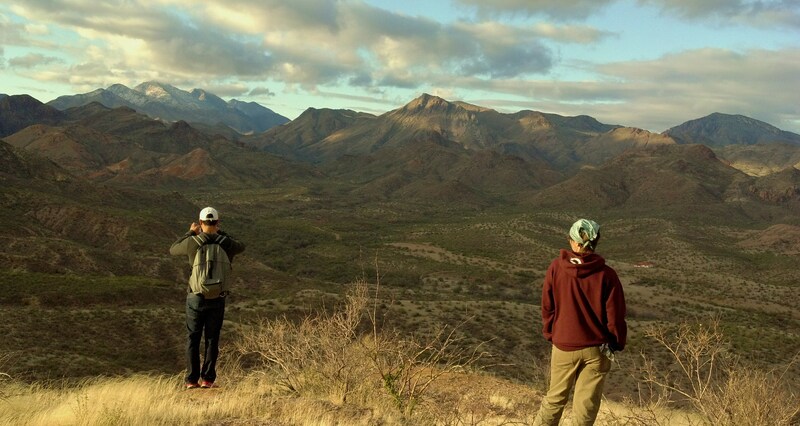 For more tranquil moments to properly absorb all the natural wonders of this unspoiled and long-hidden Sonoran jewel, the ranch organizes nighttime safaris, wildlife spotting, campfires and stargazing under dark unpolluted skies. The ranch is a remote and off-the-grid noise-free environment, a welcome respite from the non-stop bustle of urban life. Accommodation at Rancho Los Baños consists of lodge rooms and well-appointed private casitas of one, two or three bedrooms each with lots of natural light, private bath,hot water showers, all powered by solar energy. The casitas are spacious,comfortable and are located at the main Rancho Hacienda with separate communal dining and socializing areas. All-inclusive and dining packages provide three gourmet home-cooked meals a day, featuring fresh, mesquite fire international and Mexican cuisine. Snacks and drinks are provided. Guests can buy their alcohol beverages and favourite snacks at a large grocery store en route to the ranch. Rancho LosBaños is an opportunity to experience genuine Mexican hospitality, local culture and history plus incredible riding adventures at this amazing ranch,such as the annual week long corrida held in early November. 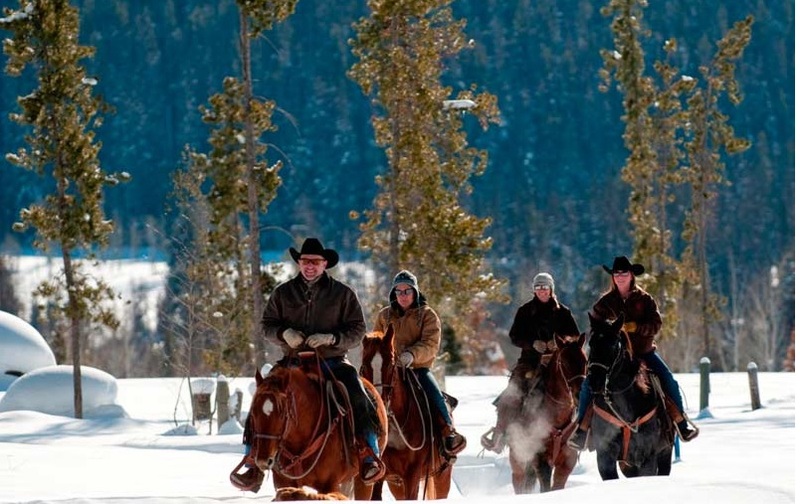 This legendary cowboy rite of passage is suitable for intermediate to advanced guestriders and involves being part of a team with several hours spent daily in the saddle. Guests get to shadow an assigned skilled ranch vaquero to ensure safety during the adrenalin-charged cattle round-up. Other ranch guests can observe the cattle being driven home to be treated and housed in the various pens. This is the thrilling stuff of never to be forgotten memories! Another fall highlight is Thanksgiving Week Nov. 19-26th which includes a gourmet turkey meal and nightly Latin American wine tasting. Kids under 10 stay for free. “I want my mind to grow”……..wrote famous author F. Scott Fitzgerald and Sedona Ranch, a Health Retreat Center and riding facility, is just the place to experience a beneficial, mind-expanding fall ranch vacation to open and “grow” the mind. Set among a2.8 acre beautiful oasis in an Arizona desert filled with breath-taking vistas of sun-lit red rocks, mountains, star-filled nights and Indian heritage sites,Sedona Ranch has mild fall temperatures during the day and cool at night. Surrounded by a National Forest of several hundred acres, the ranch is 15 milesfrom the town of Sedona and just one and two hours away from Flagstaff and Phoenix airports. 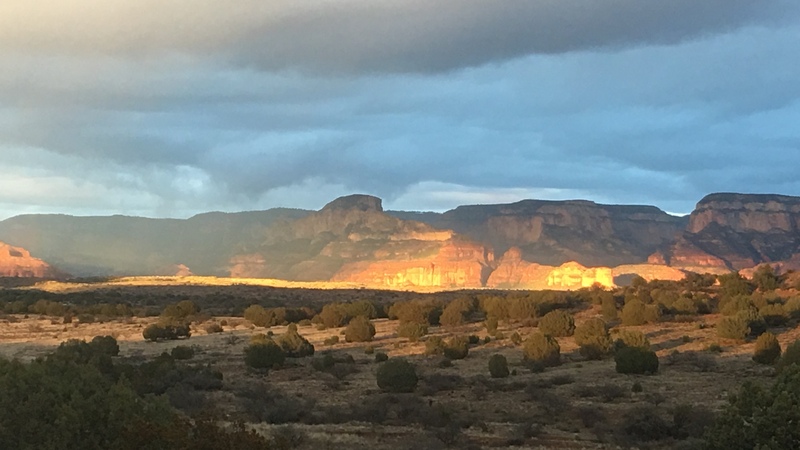 Sedona Ranch is an easily accessible guest ranch sanctuary that offers personalized healing, holistic retreats, acupuncture, yoga, amedicine wheel and an abundance of natural riding trails. Sedona Ranch is not your typical guest ranch and has a unique approach to ranch vacations,including many original and intriguing non-riding programs to challenge your curiosity and ultimately open up a new path toward a more meaningful life. If you have been searching to achieve a better understanding of the yin and yang of your existence and a healthy balance between your daily needsand responsibilities, then come to Sedona Ranch for help at this increasingly popular and glowingly recommended ranch wellness center. Sedona Ranchorganizes Holistic Healing Retreats for up to 8 Women guests run by owner/operator, life guide and trained practitioner Fernanda Durlene. The retreat will assist guests to get in shape spiritually and physically by means of acupuncture, meditation and breath-work, Acu-yoga, hikes and nutrition. Mealsare organic, dairy and gluten-free. The Equine Therapy sessions teach women the groundwork of horse-riding and self-empowerment. In addition, other specialized clinics are held throughout the year. 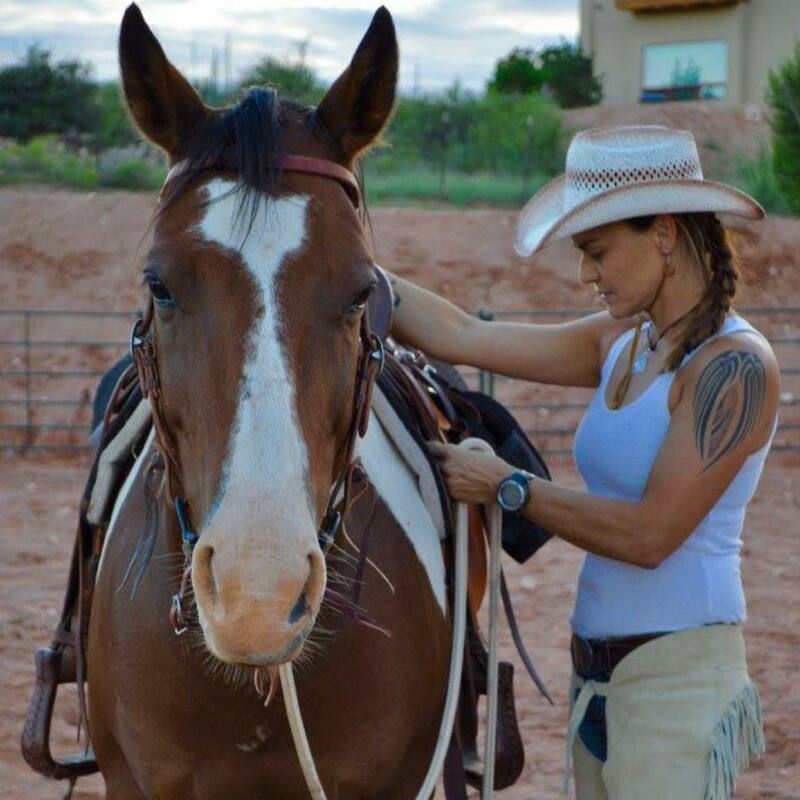 During regular ranch activities,Fernanda is available for personal counselling, self-awareness and other wellness therapies such as acupressure, cupping and Reiki energy healing. 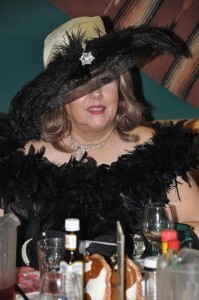 Individual riding programs consist of one-on-one sessions with Fernanda or a group session. Equestrian Therapy is a specially designed program for PSTD victims tohelp improve riding skills, mental stability and general well-being. BYOH is an innovative amenity for guests who bring their own horse(s) with them on vacation. Sedona Ranch horse camp facilities include arenas, round pens,a mare motel and outdoor fire pit. Starry night-skies and incredible views come with the territory! The ranch also has rental space for personal RV’s and trailers and can accommodate up to 8 guests in its comfortable, fully-equipped self-catering cabins/trailers. Fresh eggs and vegetables can be had from the ranch kitchen garden. Rental ATV’s are available for guests to explore the surrounding terrain and local Indian heritage sites such as the mysterious Shaman cave. 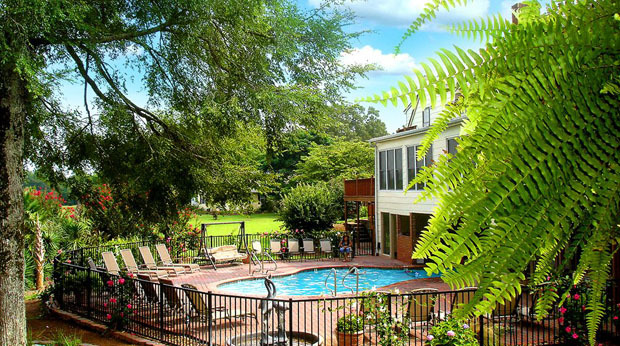 Numerous riding and hiking trails are open to guests as well as horse shoe and bocce games. World Heritage must-be-seen archeological sites, Palatki and Honanki, are 30 minutesfrom the town of Sedona, showing cliff dwellings and rock art by Hopi ancestors. Rancho LosBaños and Sedona Ranch offer fantastic fall ranch vacations among panoramic desert and mountainous backdrops and temperate climates. Invigorating riding opportunities and an unusual array of life-altering activities are sure to refresh, recharge and renew the senses in response to a primeval shift of nature, which invokes a timeless inner yearning for change. What’s not to love? Let RanchSeeker help you find your ideal guest ranch today. After the excitement of saying “yes” and picking the date, comes the often daunting task of choosing a wedding venue. Every bride-to-be dreams of “the perfect wedding,” that will be as special and unique as the bridal pair themselves, on this never-to-be- forgotten day. With so many romantic wedding destinations to choose from, it can often be a difficult process to find just that perfect spot to tie the knot. Yes, tropical destinations are always popular, but why not think outside the box and consider choosing a guest ranch wedding where every wish and promise of a really wonderful wedding day can be fulfilled. Picture yourself and your loved ones in a rustic or luxurious western-style setting encompassed by breathtaking views of majestic mountains, lush woodlands, green meadows, or the hypnotic allure of a desert backdrop. Imagine saying your vows in front of family and friends surrounded by acres upon acres of pristine wilderness and natural beauty. Instead of opting for a typical wedding venue at a big hotel or large event center, what could be better than a guest ranch wedding framed by awe- inspiring scenery to embark on married life? A day to look back on and fondly remember for always! Your wedding can be as formal or as casual as you like and depending on the guest ranch it can either be a small intimate affair or a larger one. Either way you are guaranteed to create memorable moments that will last a lifetime. Since accommodations are on-site you will have plenty of opportunities to spend time with your loved ones after getting hitched especially if you choose to prolong your stay to take advantage of all of the activities and amenities available at the guest ranch of your choice. Nowadays, many couples choose guest ranches not only as their wedding venue but also as their honeymoon destination as well. If you decide that a guest ranch wedding would be the ideal choice for you, the following guest ranches will help you discover the many advantages of staging your big day at a guest ranch. 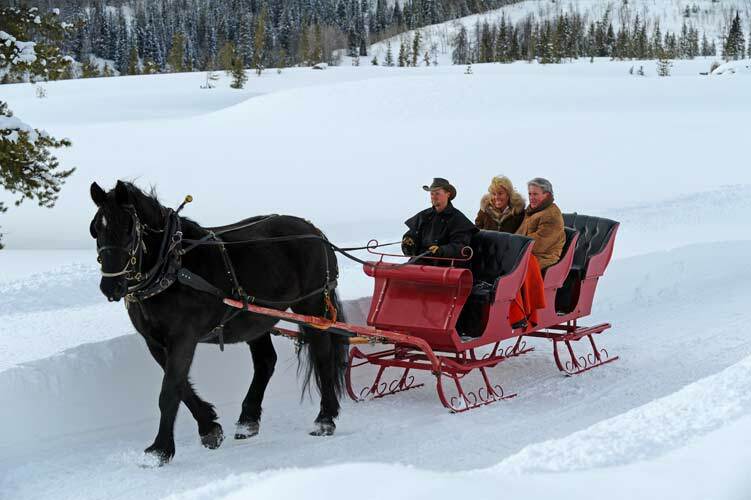 Echo Valley Ranch & Spa is recognized as a premiere guest ranch wedding destination in the Cariboo region of British Columbia, with twenty-two years of experience of hosting guests and special events from all parts of the world. Choose from a variety of ceremony settings including the Baan Thai pavilion, the outdoor covered barbeque area, outdoor decks, the hay barn, or in a forest or meadow setting. With two world class spas at your disposable (Western and Thai) you and your partner as well as your guests can pamper themselves before and after the ceremony. The ranch team will assist you with all of the planning that goes along with a wedding like decoration, flowers, a photographer and a wedding commissioner. Their goal is to make your wedding as stress-free as possible. After the ceremony feast upon a tailor-made farm fresh gourmet meal accompanied by a wedding cake made especially for you by their executive chef. A wedding at Echo Valley Ranch & Spa is truly a magical experience for more details download their wedding brochure. If you are looking for a small, intimate venue that offers almost unlimited flexibility with a mountain, country inspired wedding theme then this Colorado guest ranch is the place for you. With a breathtaking backdrop of the surrounding Rocky Mountains and five distinct spaces to choose from (three of which can meet the needs of larger groups) Aspen Grove at Sundance Trail boasts outstanding views from every vantage point. Couples looking for a simple, rustic wedding venue will be delighted with the “Carriage House” option which combines a modern take on rustic barn style architecture and features two large barn doors that when opened look upon sublime vistas. 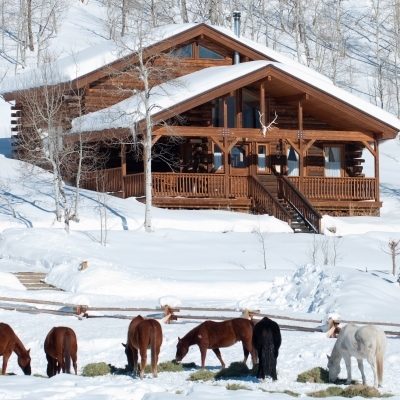 Your wedding coordinator will help you choose the perfect location on the ranch for your romantic mountain ceremony and help you create a special, memorable event. Afterwards invite your friends and family to share an extended vacation with you at the ranch. A wedding at Red Reflet will awaken your senses. Awe-inspiring scenery combined with luxurious accommodations provide you and your partner with all of the grandeur that you’ve ever dreamt about for your special occasion. The ranch’s chalets, which are equipped with a fully stocked kitchen and private hot tub, are ideal for creating a romantic setting for after the wedding ceremony. Red Reflet Ranch’s staff will help you manage every last detail and enable you and your guests to be fully present during your event. A wedding at this Wyoming guest ranch is intimate, exquisite and spectacular! 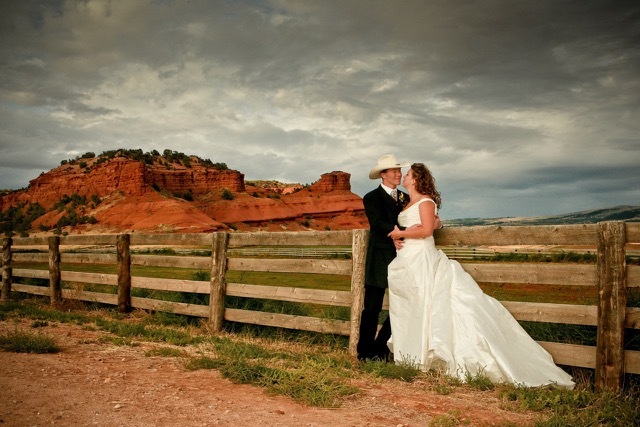 Heart-stirring scenery coupled with western hospitality will guarantee that your guest ranch wedding will become a cherished memory for you and your guests. 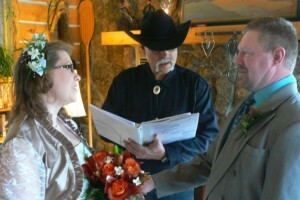 Let RanchSeeker help you find your ideal guest ranch wedding location or guest ranch vacation!